Fine Glass Casting Mix is used to make a Glass casting mold from a modeled original art piece. For small art pieces (3" cubed or smaller), mix with water according to directions and pour over the art work. Let dry, then place in the kiln and load with glass and fuse according to instructions. Fine Glass Casting Mix is easily removed from the cast glass by dipping it in water and breaking it away. 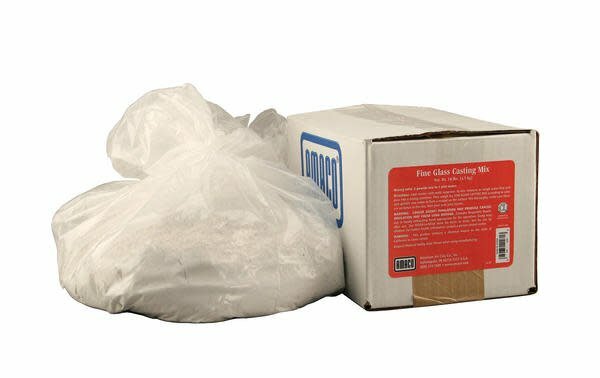 Coarse Glass Casting Mix is used to make a large mold (larger than 3" cubed") for Glass Casting. 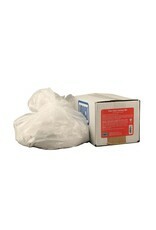 This product is a refractory material to help against breaking of a large mold when it goes through the firing process. It is applied over a slightly dry coat of the Fine Glass Casting Mix to complete and reinforce the mold. Let dry, load with glass and fuse. Coarse Glass Casting mix is also easily removed by soaking in water.